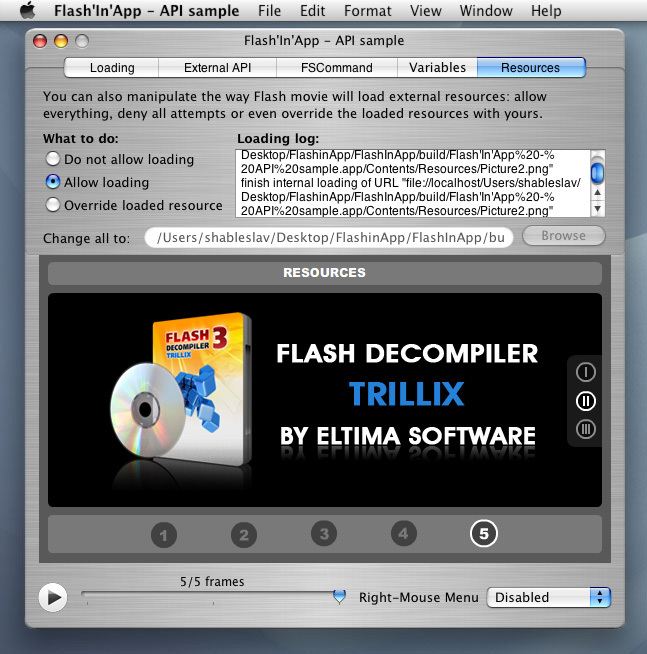 [prMac.com] Bellevue, WA, USA - Eltima Software, a global software Development Company, has released Flash'in'App 2.0 version, a Cocoa framework which lets load and fully manage Flash movies right within Mac applications. This framework contains a set of classes, which provide application with the ability to load, play and manage any SWF files right within this application. Application can communicate with SWF file via External API, FSCommands and Variables. Implementing Flash'in'App in application extends its functionality in several time. Flash is able to handle sounds, video and images. With Flash'in'App application will be able to work with all these media files too. 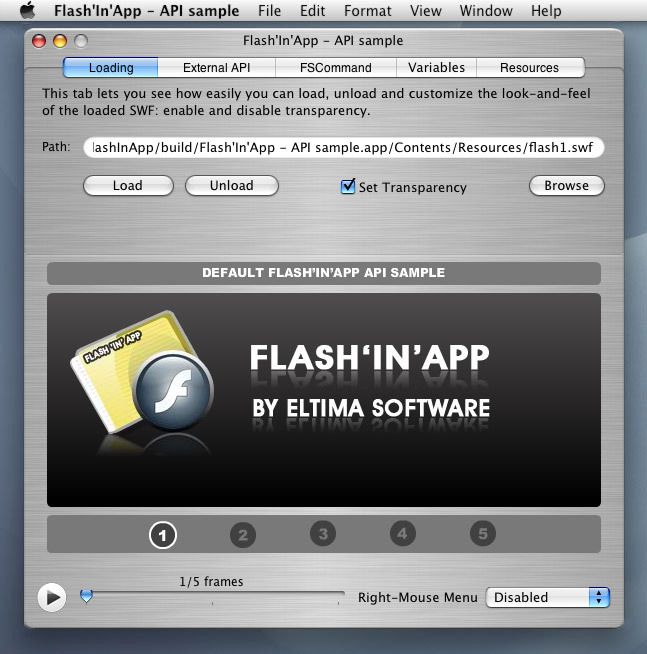 Additionally, Flash'in'App allows creating custom-shaped windows and running your Windows Flash-enabled applications' GUI on Mac. With Flash'in'App users can easily create amazing Flash interfaces for any of Mac applications, add a tutorial or anything else. In fact all the advantages of adding Flash files can be used in application. Flash'in'App lets completely re-design an application using the latest possibilities of Flash, make it stand out and match exquisite design&user-interactivity requirements without the need to develop custom controls. The new version provides several added features that allow users to set Flash background color for playback, to specify the scaling option used to display the Flash movie, and the ability to set vertical and horizontal movie alignment within the player region. In addition, the upgrade has made changes to the zoom percent calculation, and makes it possible to set the root level variables to pass to Flash Player. End users will need at least Mac OS X 10.4 and higher and Flash Player 8 or newer to run applications that are developed with Flash'in'App. The only one demo limitation is a nag screen shown when opening a SWF file. As for the other features, it is a fully functional framework, which lets test all of its features and abilities for free. Additional information about Flash'in'App, along with detailed technical documentation, online help and changelog as well as demo installation package can be found at our site. Eltima software delivers top-notch solutions having a friendly team of 30 professionals. Devoting effort to develop the software of highest quality that can fit the needs of both experts and computer beginners, Eltima Software has developed the complete line of system utilities, security and flash software. We develop solutions for serial communication and implement virtual serial technologies into our software. Among our other products are monitoring solutions, network utilities, developer tools for Java and software for smartphones. With the design concept of 3 "E": Experience, Efficiency, Expertise - Eltima Software has successfully established a world-class brand of the best price-performance software products.